The Eagle Canyon runner rug in Sapphire from our Signature Collection makes a wonderful new addition to any home with its unique native-style pattern and inspired design. This rug is perfect for a home of varying styles because its distinct look can be used in a modern design in an apartment in the city or in a calm study room in a country estate. There is fantastic detail, deep coloring and a relaxing sense of comfort that exudes from this rug. The best part is that it is extremely durable and has an amazingly soft nylon texture so you will love everything that this rug has to offer. 4885C/12000-202 Rug Size: 7'8" x 10'9" -Distressed: No. -Technique: Tufted. -Type of Backing: Latex backing. -Material: 100% Nylon. 4885C/12000-217 Rug Size: 2'1" x 7'8" -Distressed: No. -Technique: Tufted. -Type of Backing: Latex backing. -Material: 100% Nylon. 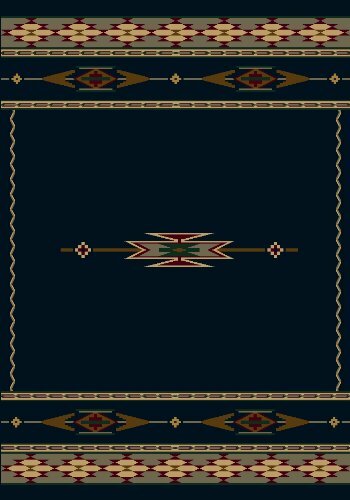 The Eagle Canyon area rug in Sapphire from our Signature Collection makes a wonderful new addition to any home with its unique native-style pattern and inspired design. This rug is perfect for a home of varying styles because its distinct look can be used in a modern design in an apartment in the city or in a calm study room in a country estate. There is fantastic detail, deep coloring and a relaxing sense of comfort that exudes from this rug. The best part is that it is extremely durable and has an amazingly soft nylon texture so you will love everything that this rug has to offer. 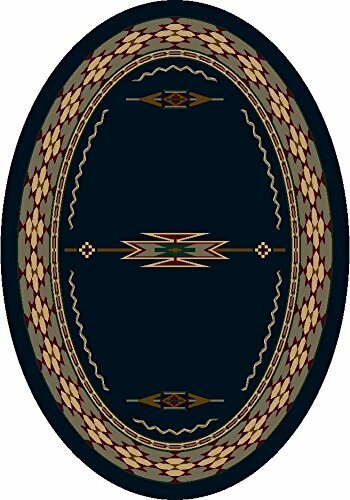 The Eagle Canyon Oval rug in Sapphire from our Signature Collection makes a wonderful new addition to any home with its unique native-style pattern and inspired design. This rug is perfect for a home of varying styles because its distinct look can be used in a modern design in an apartment in the city or in a calm study room in a country estate. There is fantastic detail, deep coloring and a relaxing sense of comfort that exudes from this rug. The best part is that it is extremely durable and has an amazingly soft nylon texture so you will love everything that this rug has to offer. 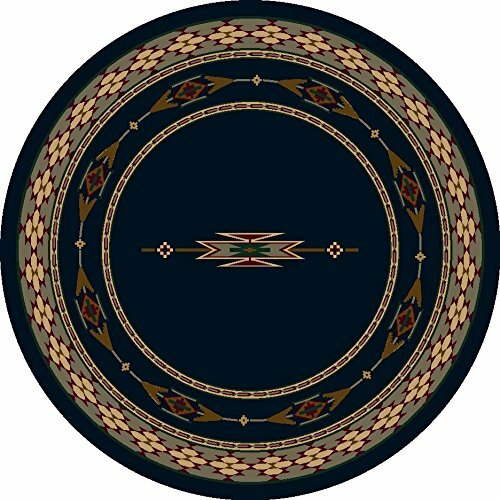 The Eagle Canyon round rug in Sapphire from our Signature Collection makes a wonderful new addition to any home with its unique native-style pattern and inspired design. This rug is perfect for a home of varying styles because its distinct look can be used in a modern design in an apartment in the city or in a calm study room in a country estate. There is fantastic detail, deep coloring and a relaxing sense of comfort that exudes from this rug. The best part is that it is extremely durable and has an amazingly soft nylon texture so you will love everything that this rug has to offer. The Eagle Canyon square rug in Sapphire from our Signature Collection makes a wonderful new addition to any home with its unique native-style pattern and inspired design. This rug is perfect for a home of varying styles because its distinct look can be used in a modern design in an apartment in the city or in a calm study room in a country estate. There is fantastic detail, deep coloring and a relaxing sense of comfort that exudes from this rug. The best part is that it is extremely durable and has an amazingly soft nylon texture so you will love everything that this rug has to offer. Looking for more Milliken Sapphire Eagle similar ideas? Try to explore these searches: Girls Princess Bench, Silver Pumpkin Bead, and Mascot Banner. Look at latest related video about Milliken Sapphire Eagle. Shopwizion.com is the smartest way for online shopping: compare prices of leading online shops for best deals around the web. Don't miss TOP Milliken Sapphire Eagle deals, updated daily.